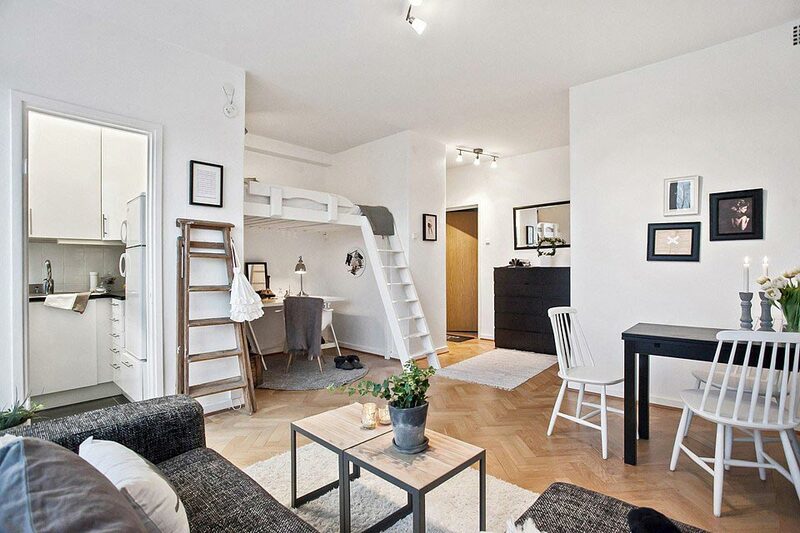 This tiny studio space might be short on size, but it is large on design and reaches high heights where it matters most – comfort and ambiance! 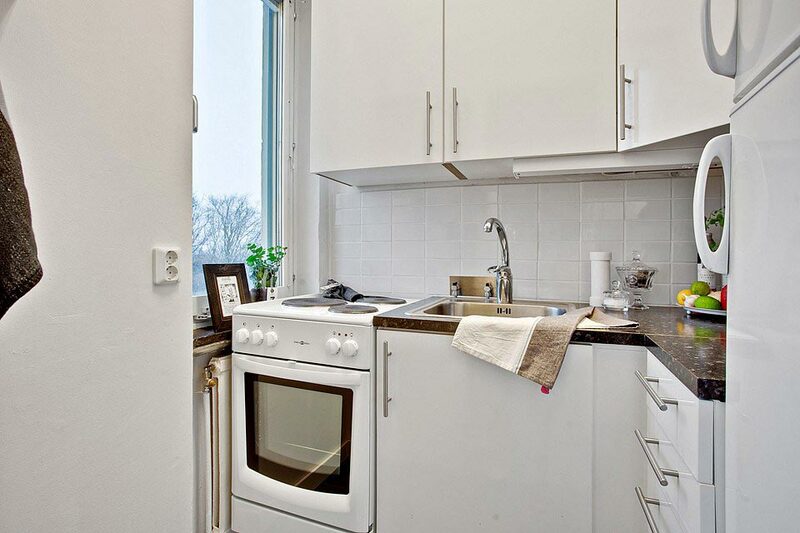 Delivering all of the conveniences of any modern “normal sized” home, this 29 sq m apartment located in Gothenburg, Sweden delivers a white hue of feminine class that outshines any sense of loss of space. The sleeping nook / office duo offers a loft bed as well as a desk, and is multi-functional while creating an interesting dimension to the home. 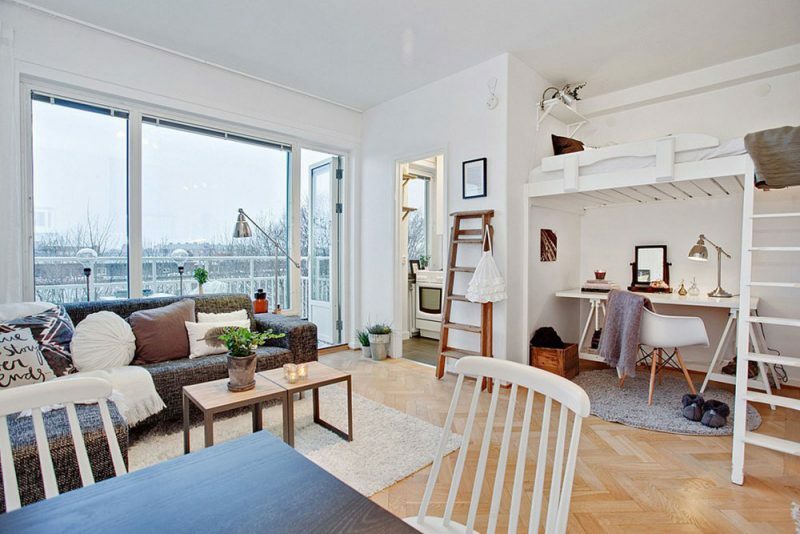 With a white ladder cascading down from the chic bunk bed, and a white desk-slash-vanity below, it creates a simultaneous cozy feel yet delivers an inspired write/read/beautify zone too. Ample windows act as a backdrop behind the tweed sectional couch, and a spacious veranda gives a sense of additional space to the home. A dark wood table sits in perfect contrast to the simple white wooden chairs, and the closet-style kitchen is tucked away nicely so as to not interrupt the flow of the space, yet still offers the same clean white sheen as the rest of the home. 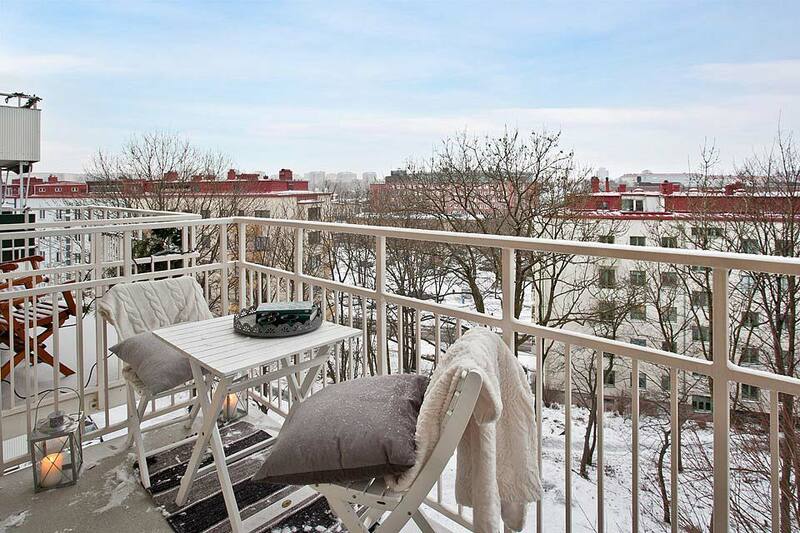 In a city known to be lined with cute cafes and shops, this compact apartment appeals to the city dweller that opts for ambiance over ample space!